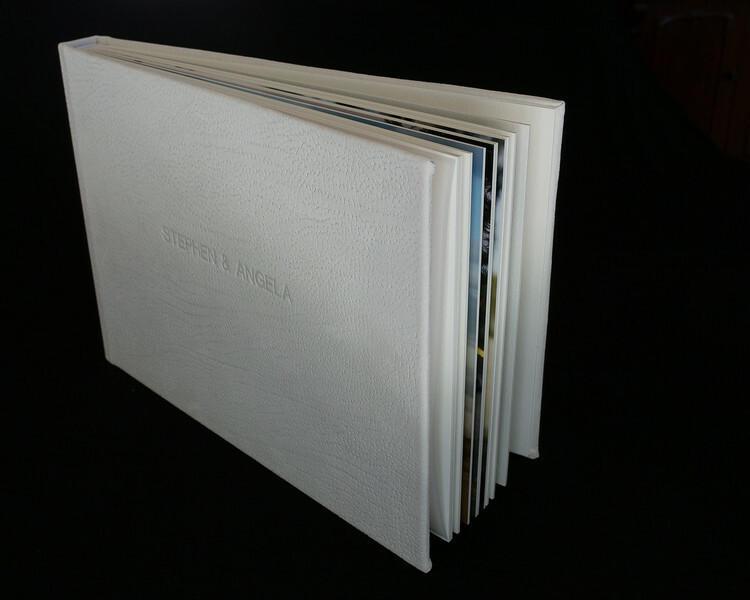 You may wish to add one of our exquisite, hand crafted albums from the Queensberry Professional Albums range. 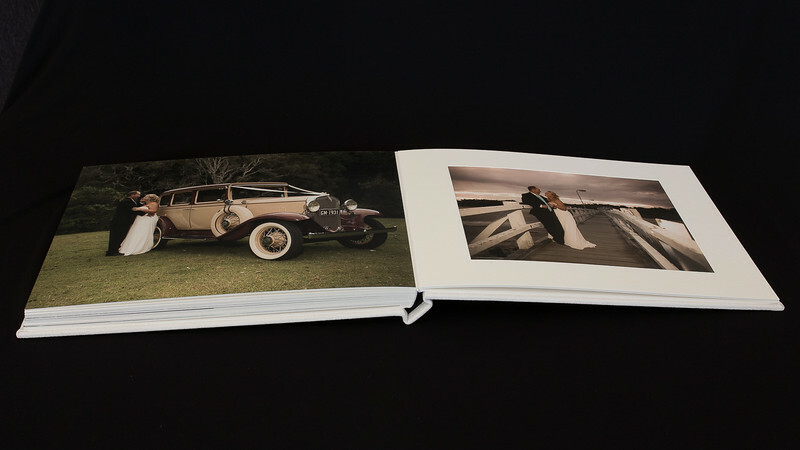 Queensberry albums are crafted in New Zealand, supplied exclusively to photographers from all over the world and are renowned for the use of the highest quality materials and meticulous craftsmanship. 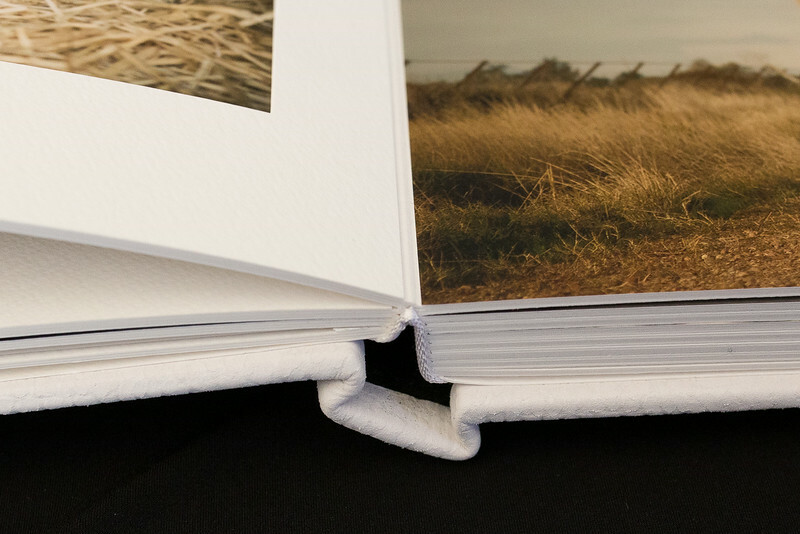 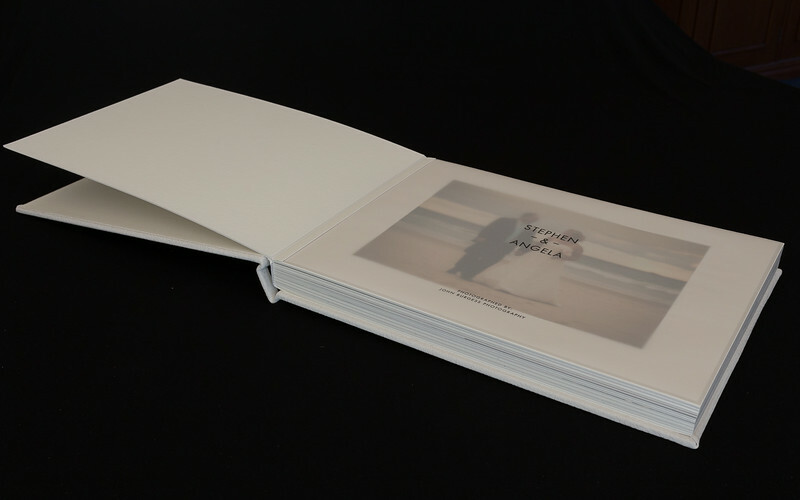 Albums are available in Press Book style, Flushmount, Overlay & Classic Matted plus The Duo Album, a combination of Flushmount and Matted pages. 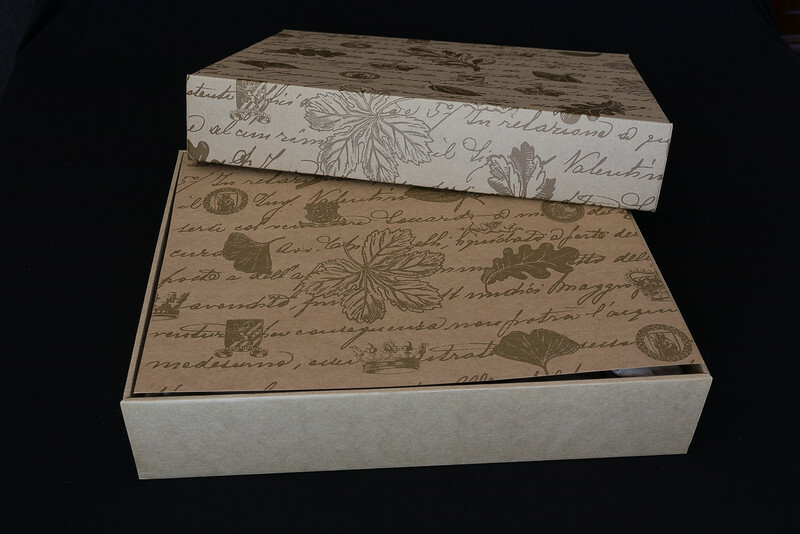 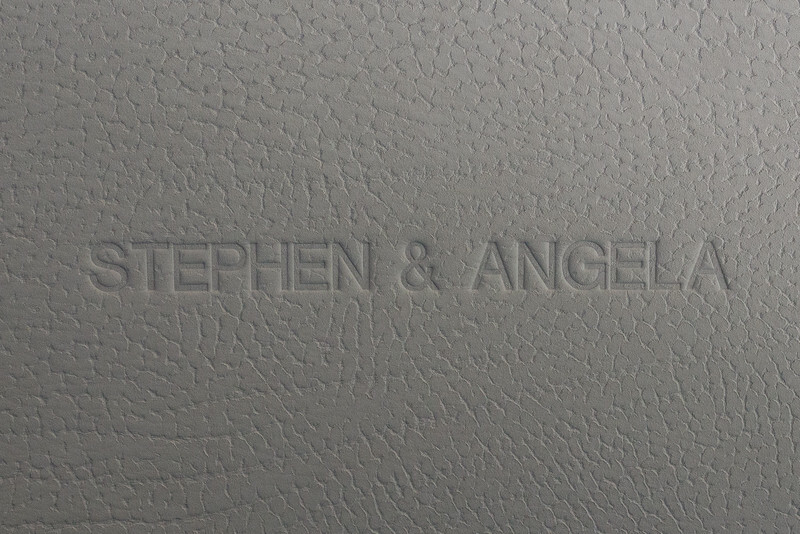 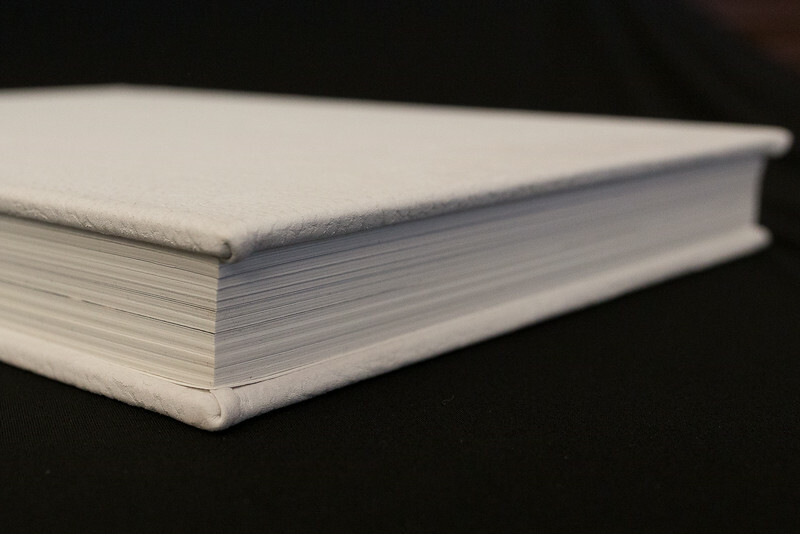 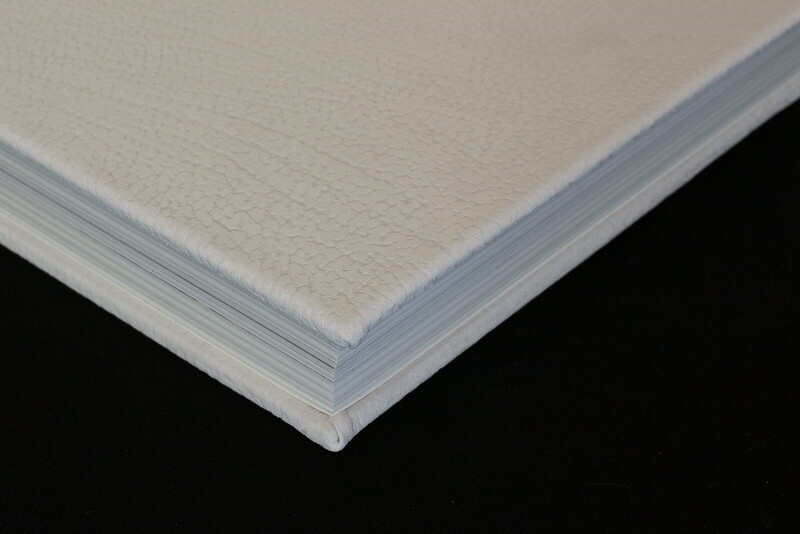 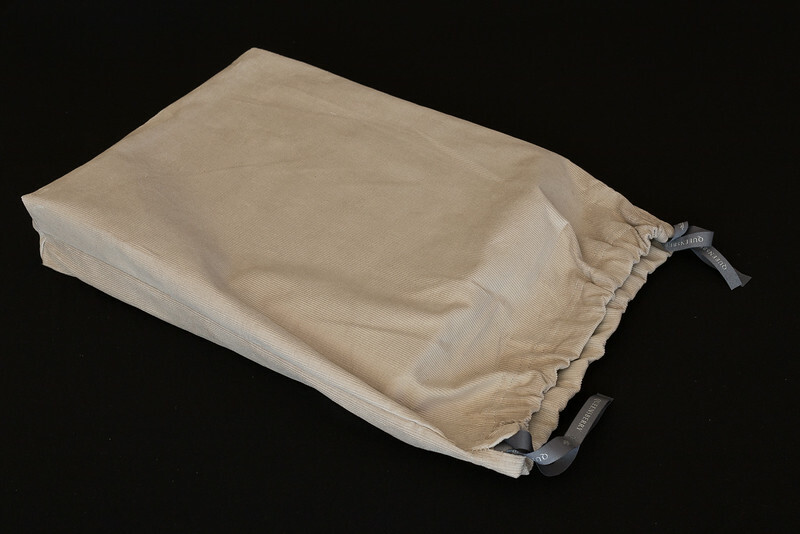 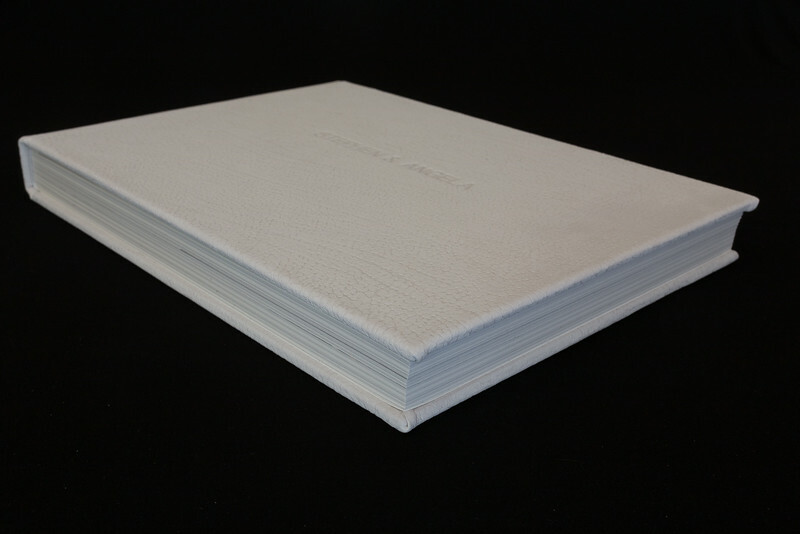 Cover options include Buckram through to silk and beautiful traditional leathers, all with your names embossed on the cover and printed on an internal, translucent title page. 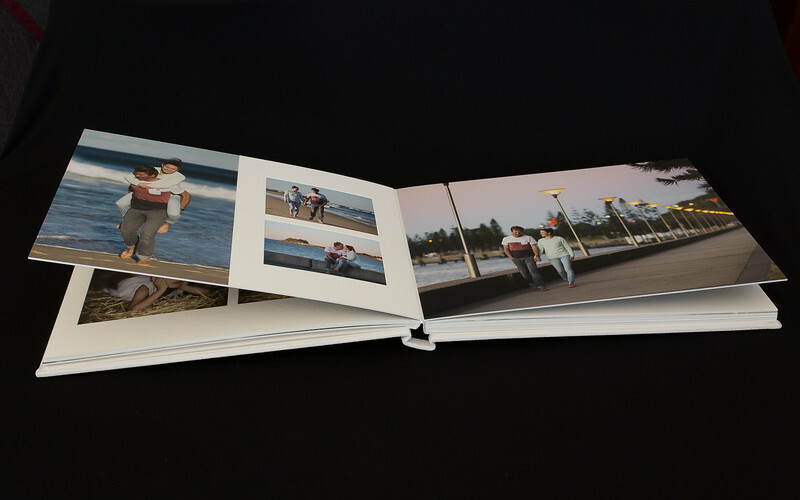 Parent albums, a smaller copy of the original, are also available. 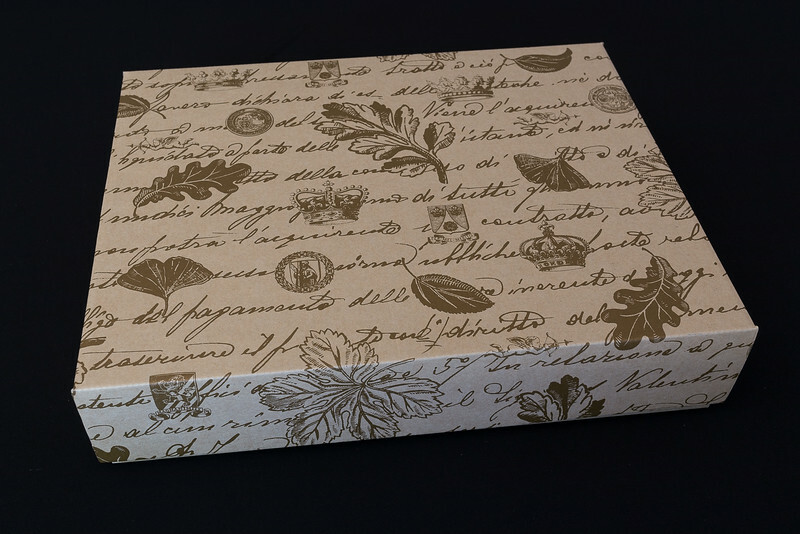 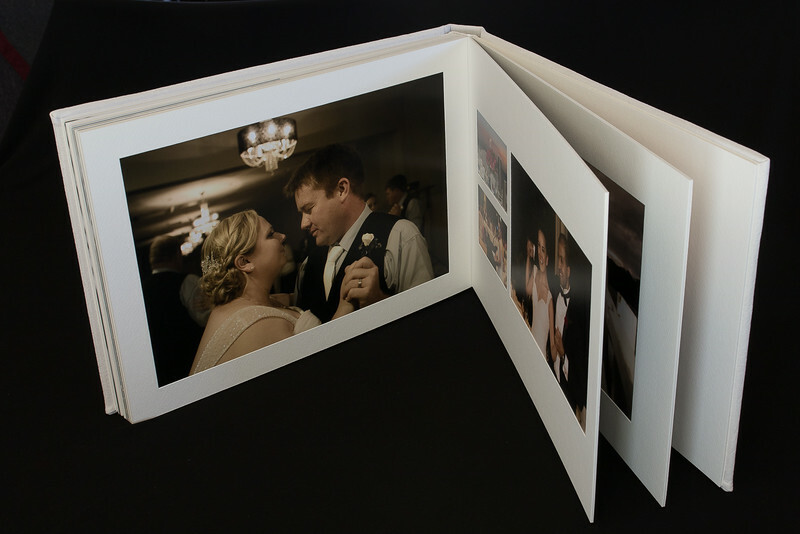 Queensberry Albums have be seen and touched to fully appreciate the exceptional quality. 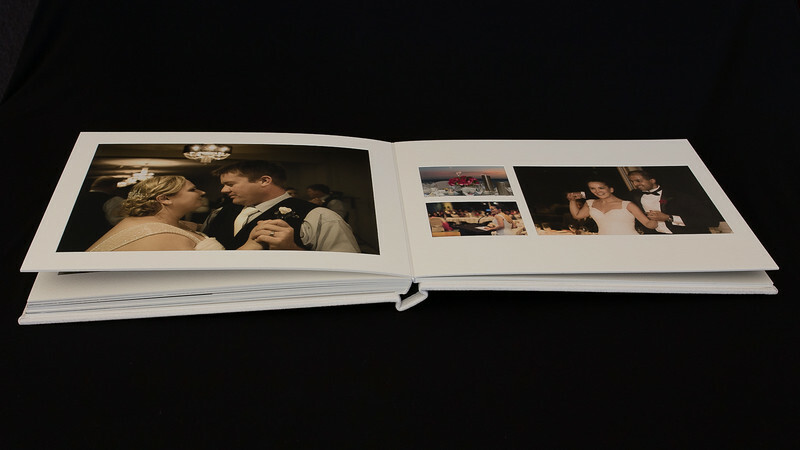 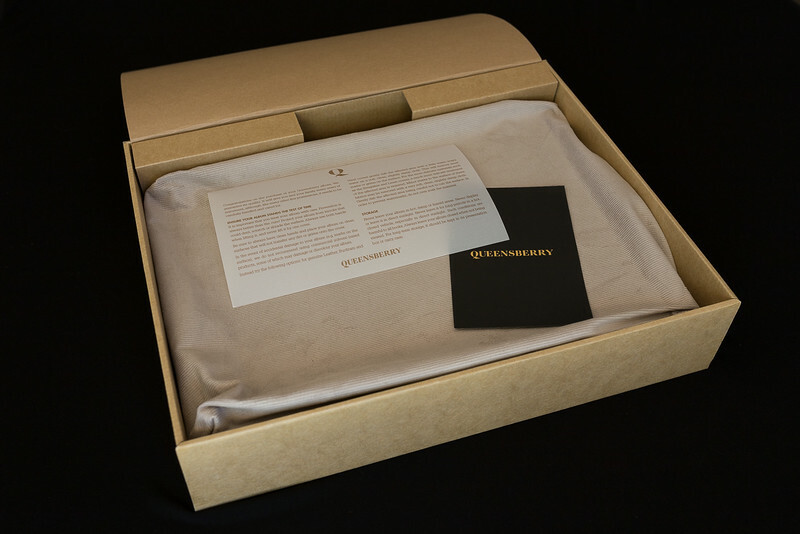 Below are a selection of images displaying the Queensberry Duo Album. 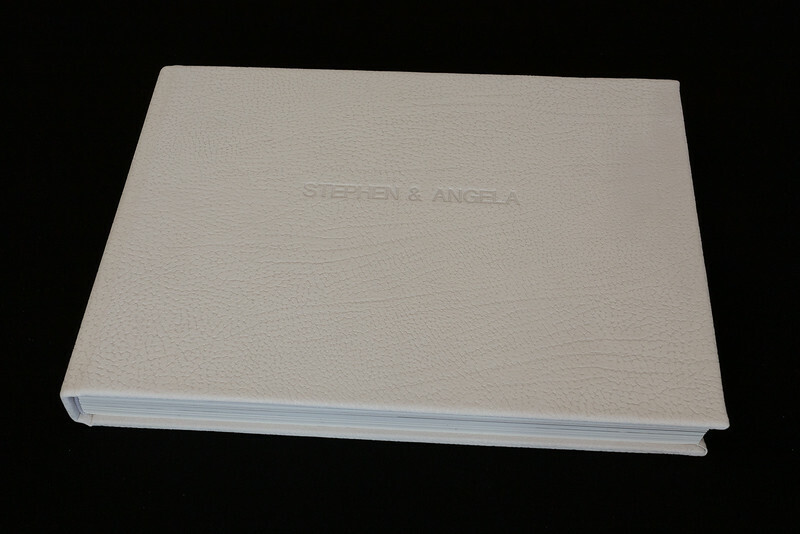 As the name suggests it has a combination of Flushmount and Matted pages plus a beautiful contemporary leather cover in ivory colour with embossed names and a translucent title page.